I first stumbled on this screenshot on Reddit, from Episode 31 of "Terrace House: Boys & Girls in the City". But I can't spot it in this map created by a fan. This is the Cup Noodle Museum Park. The arrow is exactly where they were standing in the show. Not the answer you're looking for? Browse other questions tagged japan identify-this or ask your own question. What mountain in NW USA is this? Is a day trip from Naha City to Taketomi Island possible? 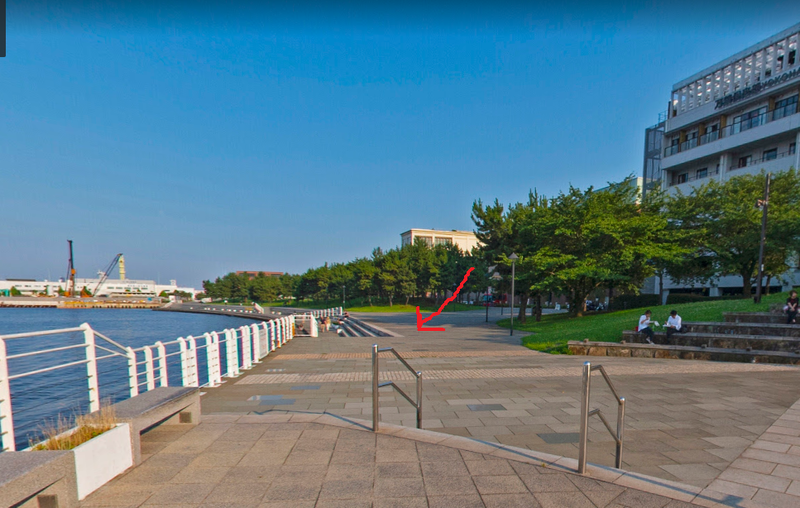 Where's this waterfront in Yokohama, featured in Episode 31 of “Terrace House: Boys & Girls in the City”?